Our range of acoustic Green Barriers™ combines class leading acoustic performance with environmental and sustainable credentials second to none. 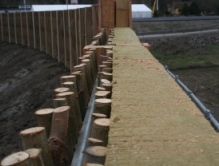 Suitable for use where immediate full height screening is required, the non acoustic Green Barrier™ provides an attractive and sustainable boundary barrier complimenting other planting. 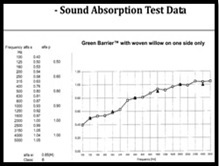 The Green Barrier™ has been whole barrier tested and its full data is available in our CE Mark data sheets. 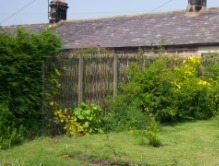 The Green Barrier provides genuine Best Value engineering. 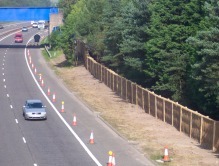 Cheviot Trees have successfully completed many installations of acoustic and non acoustic Green Barriers™ at numerous locations around the UK.